The letter Y is probably the most Greek of all the letters found in European languages. Originally invented by the Phoenicians, Y was borrowed by the Romans via the Greeks, and as such was called I graeca, or the ‘Greek I’. This name survives in several contemporary languages, as Y is still known as the ‘Greek I’ in Spanish, French, Dutch, Polish, and even Vietnamese. 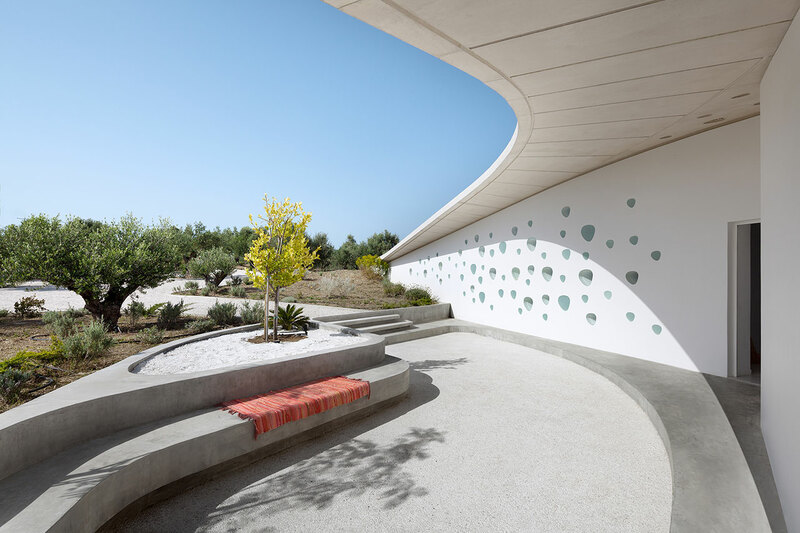 The bifurcating shape of Y—or ypsilon as it is called in Greek—seemed like the perfect inspiration for an experimental new villa in the Greek province of Messenia, designed by London and Brussels-based LASSA architects as a summer home for a private client. The aptly named Villa Ypsilon literally draws a Y on the landscape, and is built on an olive tree-covered hill facing the shimmering Foinikounda bay, about an hour and a half’s drive from the town of Kalamata. But apart from its very Greek concept, the house consciously steers away from all the clichés associated with a typical holiday home in Greece. 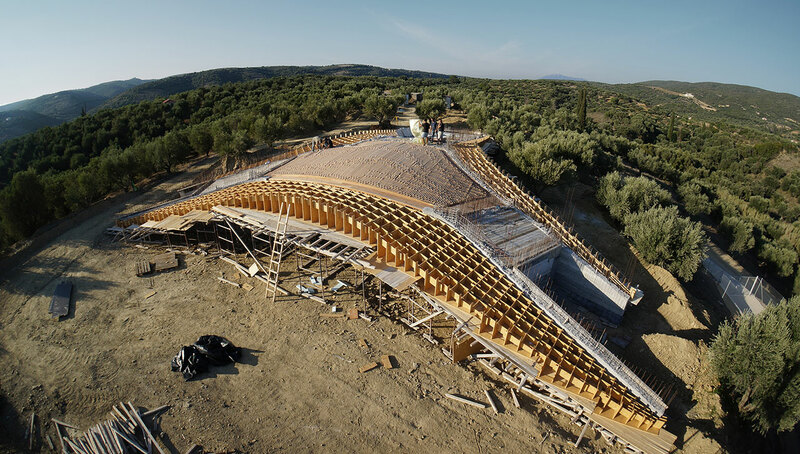 The villa’s bifurcating shape gently rises from the landscape as an extension of the land, with each of its three branches sloping to create a seamless transition from the ground to the rooftop, the latter covered with earth and easily accessible to the residents. Three external courtyards are carved out by the house’s main volume, creating a continuous promenade that offers differing degrees of privacy and natural settings: from the rooftop, residents can enjoy a 360-degree panorama of the olive groves, nearby mountains and the bay, while the south-facing living room and pool terrace frame the distant islands of Schiza and Sapientza, as they fade into the blue haze of the Mediterranean Sea. Despite its prominent location, Villa Ypsilon manages to remain discreetly embedded in the surrounding nature, achieving a perfect balance between architectural innovation and respect for its environment. 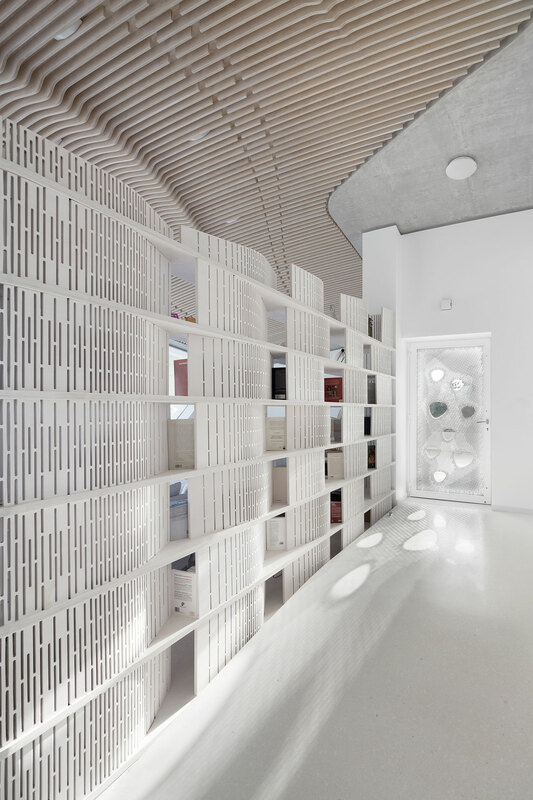 Architects Theo Sarantoglou Lalis and Dora Sweijd of LASSA architects designed a concrete shell for the house, whose unconventional shape called for a construction strategy that involved pre-fabricating and self-assembling most of the parts of the structure off-site. 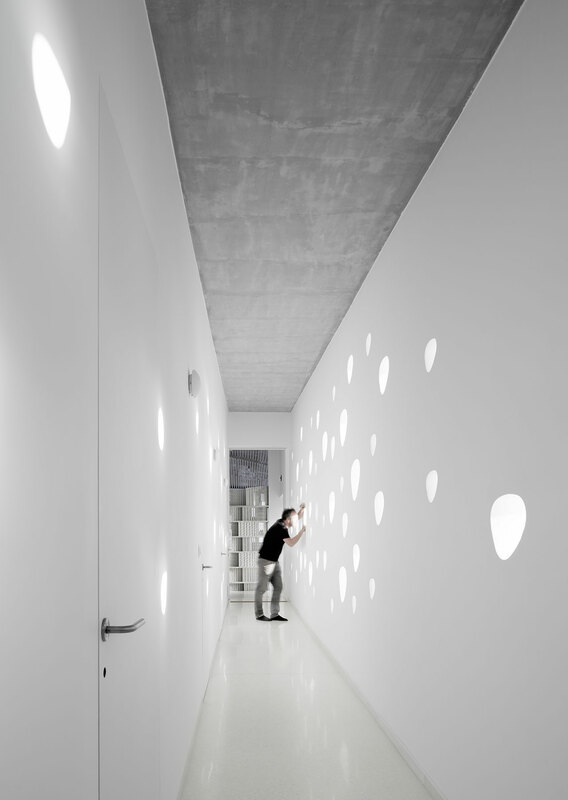 The architects bought a CNC machine especially for the project, which enabled them to experiment with forms and be more creative and flexible while designing the villa’s structural elements. 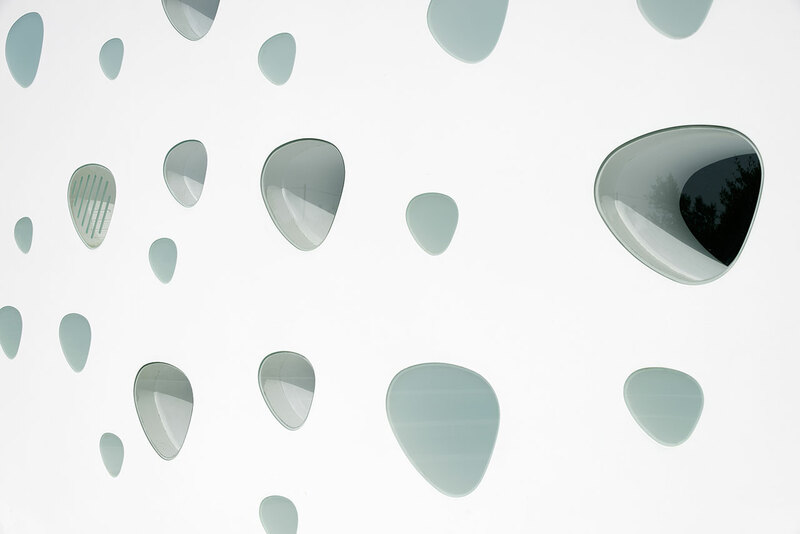 This included everything from the moulds used to form the pool, through to the louvred acoustic ceiling in the living room and the custom-made window frames. 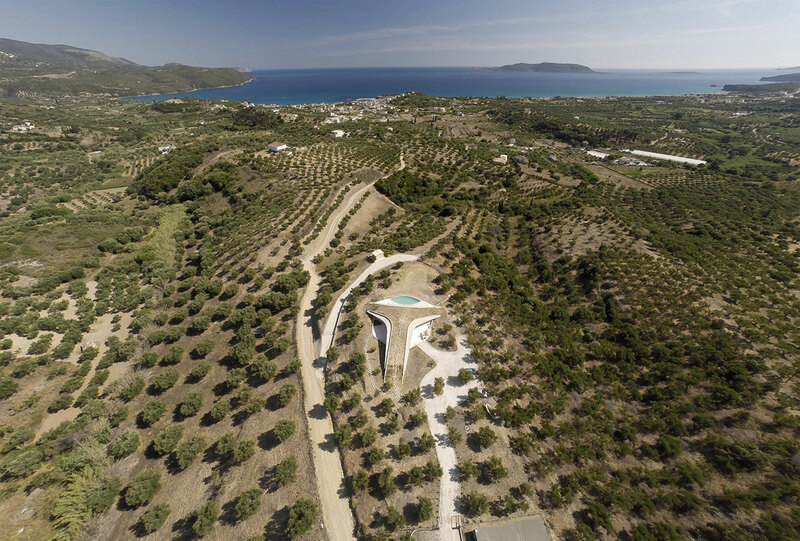 The architects also took the hot Greek summer into account, and decided to follow an environmentally conscious approach to design that would eliminate the need for air conditioning, achieved by implementing a cross-ventilation strategy, and by planting the roof with local herbs and bushes. 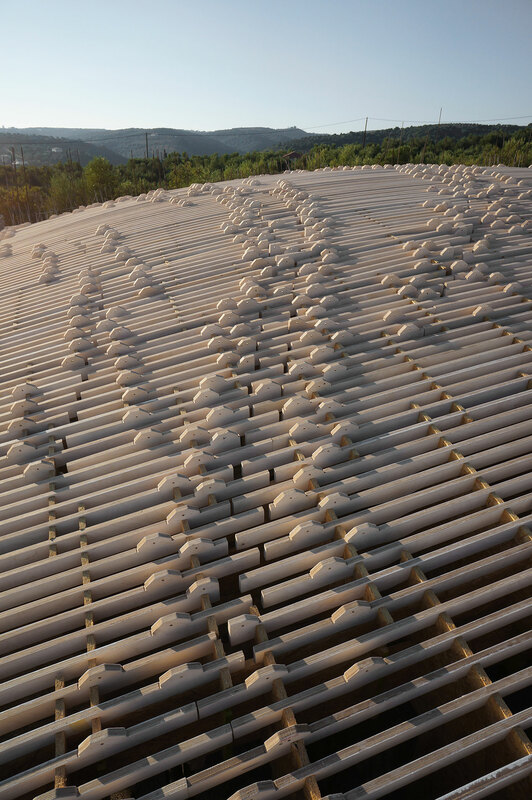 What stands out about Villa Ypsilon is its organic shapes and unobstructed flow, matched with a calm sense of intuitiveness when it comes to design details. 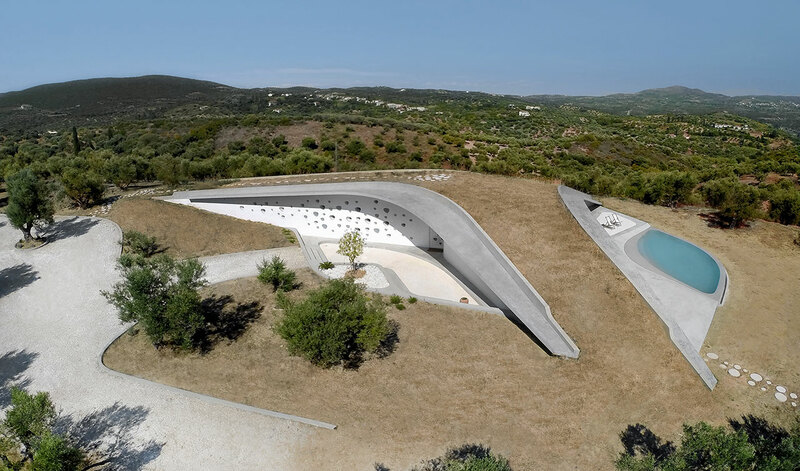 And although this striking concrete residence hardly resembles a traditional Greek holiday villa, its concept and philosophy are essentially as Greek as it gets.